When it comes to creating the ultimate driveway for your home or place of work, Green Elite prides itself on designing and constructing to the highest level. Everything from making sure the foundations and drainage are carefully considered and constructed according to the type of base the driveway will sit on, right through to using the best quality materials, Green Elite puts great care and attention into creating a beautiful driveway that will last for years to come. A popular choice of stone for driveway construction due to its durability and easy maintenance. Sandstone is available in a range of colours which can be combined to form very attractive patterns. Although more expensive than other options, it offers a strong, long lasting solution and will more than pay for itself in time. A great option for producing beautiful driveways. Flagstones are set into mortar in a random looking pattern to form an interesting mosaic. Stones can be different colours to enable you to make the driveway even more interesting. Due to the time it takes to create, flagstone paving is a little on the expensive side, but the end result more than justifies the extra expense. Available in a variety of colours and styles, block paving is a solid and robust option for your driveway needs. Block paving is durable, porous and virtually maintenance free...which will help it retain its look for years to come. Often referred to as scattercoat, the process of resin bonding requires a loose dried aggregate to be scattered over the driveway area and then coated in a resin. Once dried, this gives the impression of a loose gravel drive but without any of the movement or dispersement of loose stones. Lots of colours and shades are available and give an attractive and low maintenance alternative to tarmac or paving. Available in a range of rich colours, bricks can be laid in a huge range of ways to produce some beautiful patterns for your driveway. 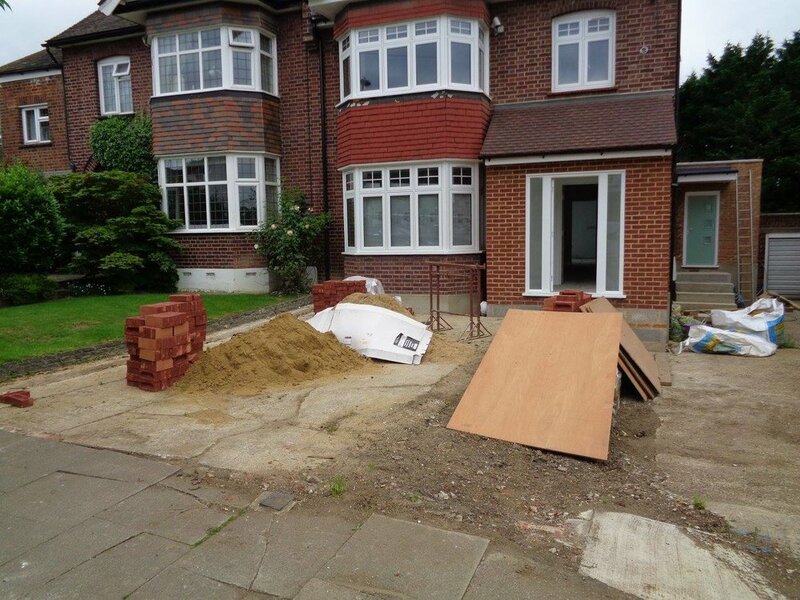 An effective method of building a driveway, tarmac provides a smooth surface and can be layered straight over your existing driveway in certain situations. This is due to the fact that tarmac only requires a relatively thin layer to produce a strong and effective driveway. A very heavy, solid type of rock which offers the ability to create highly luxurious driveways. It is a very expensive option but the quality of the rock will ensure that your driveway stays looking good and will stand the test of time. Due to its strength and weight, granite is a difficult material to work with, so you can expect a granite driveway to take quite a lot longer to build. Interested in help with driveways?